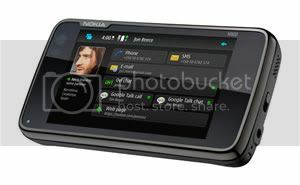 To make web browsing more enjoyable, the Nokia N900 features a high-resolution WVGA touch screen and fast internet connectivity with 10/2 HSPA and WLAN. Thanks to the browser powered by Mozilla technology, websites look the way they would on any computer. Online videos and interactive applications are vivid with full Adobe Flash 9.4 support. Maemo software updates happen automatically over the internet.